We provide high-quality and affordable online courses to meet your CEU needs. We are approved for QABA and BACB CEUs. Our courses are self-paced and presented in an online format. Participants respond to discussion boards and polls, and take quizzes. Our courses are very affordable priced $10.00 or less per CEU. 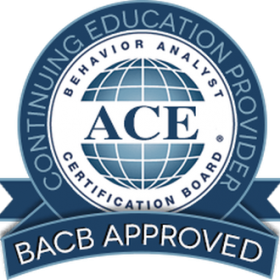 You can easily earn all your CEUs from home with Behavior Webinars! Courses are completely online. You read material and watch videos. You participate through polls, discussion boards, assignments and quizzes. To pass you must get 80% on a final test. What do I need to complete a course? A computer and a internet connection. Immediately following the completion of the course. It is generated from your account information, so make sure your account information is correct. You can complete it whenever you would like. How do you access a course? When you click on purchase on any of the course pages you will be taken to checkout page. Here you will make an account and pay for the course. When logged into the website you can click on “my account” to view and access your courses. You can also click on “my account” to create an account before purchasing a course. Do your CEUs count towards BACB CEUs? Yes all our CEUs count for BCBAs, BCaBAs, and BCBA-Ds. The supervision classes count as supervision CEUs, and the ethics courses counts as ethic CEUs. Wow! What an easy way to earn CEUs! This was such an interesting course! I found this training helpful. This was an excellent training. The depth of information and references shares was wonderful and I will definitely incorporate into my practice. As a first time Supervisor of two candidates for BCBA, I found this information very useful and calming, as I am quite nervous about doing a good Supervisory job! I am highly appreciative of the inspiration you have given me to remember my roots in applied behavior analysis by pulling the foundations off the page, out of the journals, and into practices that a team of differently trained people can get behind. Thank you. Dr. Jaime Flowers lives in Belize with her family. She has a ED.S in School Psychology, a Ph.D in School Psychology, is a BCBA, and L.E.P. She works with Belize public school systems to create better learning environments for the students. She also teaches BCBA courses online at National University and Kaplan University. After struggling to find interesting online CEUs while living abroad, Jaime created Behavior Webinars. She hopes to help people in the field of behavior analysis learn useful techniques and gain insight to the field while earning online CEUs. Jaime wants to thank everyone for their support and hopes to continue providing CEUs to the BCBA community.